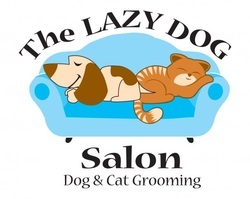 The Lazy Dog Salon is looking for a tag line. Submit a tagline below during the months of February and March. The chosen tag line winner will receive a Full Spa Package Gift Certificate for your pet. What is a Tag Line? A tagline is a variant of a branding slogan typically used in marketing materials and advertising. The idea behind the concept is to create a memorable phrase that will sum up the tone and premise of a brand or product (like a film), or to reinforce the audience's memory of a product.